Simplex 7100 Series provides fully mechanical primary or auxiliary pushbutton access control by exterior combination, while allowing free egress at all times by interior thumbturn. 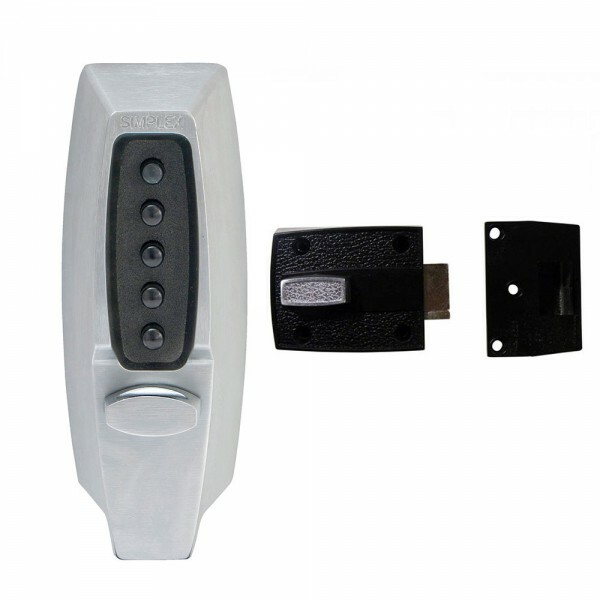 The Simplex 7106 model has a rim locking latch which relocks automatically when door closes and also has latch holdback to enable passage mode. Available in black with black inside trim or satin chrome with black inside trim only.